Therapeutic massage for pain management in the Salt Lake City, UT area. Deep Tissue, Myofascial release, Trigger Point, Sports and Injury Massage. Jenna Baker LMT offers a wide range of therapeutic massages for interested Salt Lake City customers. Get in touch with us today to set an appointment and choose your preferred pain management massage therapy. Focusing on the deeper layers of muscle tissue, this intense type of massage will help to relieve severe tension in the muscles and connective tissue. Had a recent injury or experiencing the chronic stage? Injury massage is tailored to every client's needs, focusing on proper techniques with quality care. Alleviating pain and removing toxins by focusing pressure on specific areas of the body will help to improve mobility and movement. Stimulating techniques and stretches will ensure you are ready to put forth your best athletic effort for an event. Or reward yourself with a relaxing recovery massage to sooth sore worked muscles and speed up your recovery time. Increase your range of motion by releasing restrictions in the fascia and surrounding muscle and connective tissues. Using deep pressure and slow movements will help the client feel relaxed as mobility is restored. Help your body flush out toxic and infectious materials through the lymphatic system. The series of strokes, pressure, and speed will help you accomplish just that. Working with the cranial rhythm using light pressure and specific holds on the cranium and sacrum will help balance out any restrictions or compressed areas. This therapy helps with headaches, TMJ dysfunction, stress, inner ear problems and chronic pain. 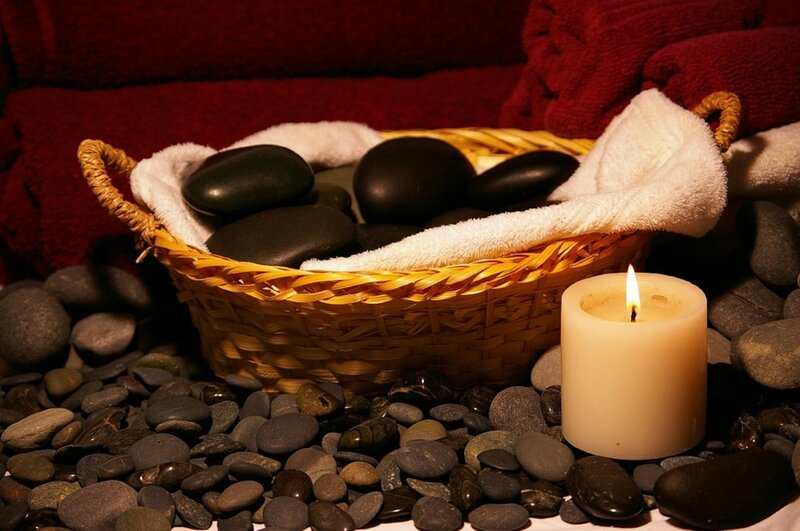 While soothing muscle tension and easing pain, Hot Stone helps to increase blood flow to areas of discomfort while reducing muscle spasms, increasing flexibility and improving range of motion. Cold stone helps to reduce inflammation and speeds up the body's recovery process! Depending on your body's needs alternating hot and cold stones can be very beneficial.